When it’s time to get your car serviced, be sure you’re bringing it into your trusted car dealership near Fort Worth, TX. We want to be sure you’re getting the best service for your car for the best price, that’s why we’re also always offering specials on car service. Be sure to check out Parts Department if you need to order parts. 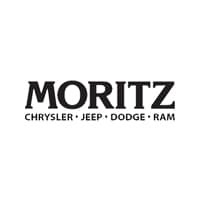 If you have any questions or if you’d like to schedule a service appointment contact Moritz Chrysler Dodge Jeep RAM today!